English & Spanish MC - Multicultural DJ. Josh Torres DJ won WeddingWire's Couple's Choice award in the category of DJ & MC for the Connecticut area for the second year in a row. In case you needed another reason to book one of the best in the business. Josh Torres DJ will be able to make your event a memorable one. Just read the raving reviews. Multicultural weddings require a dynamic DJ and MC who can adapt and include all your guests to have the best possible event. 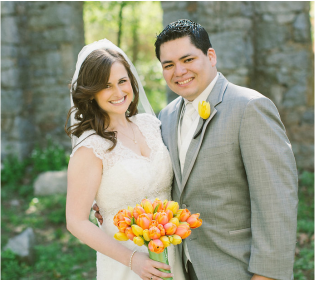 Each wedding is unique, therefore, Josh Torres DJ helps you completely customize your day. Just email your details and request a meeting. Looking for the best wedding DJ? Book now. Our names are Erick and Carolyn and we really, really, want to tell you about our DJ Josh Torres from All Star Entertainment. When we began our process we knew that we needed a DJ that would fit the tone of the wedding that we wanted to present. The tone was something along the lines of sharing love across all cultures. Carolyn being Italian-Irish and I, Erick, being Ecuadorian (Latin America) we knew this would be a tough task for any DJ. When we first met Josh we knew he was the guy. He was very nice from the get go, even traveling close to two hours just to meet us for the first time. Full of energy, respect and kindness just radiated from him, and we knew that he was the guy. Fast forward to a week before the wedding, we had issues with 2 mixes that we needed to incorporate for our entrance and our first dance due to my own fault. I reached out to Josh and he took care of the problem and our dances came out awesome. To further show his commitment to our day, Josh did not even care that our wedding date happened to fall on his birthday. He wanted it to be all about us. Incredibly selfless! Now to the party!!! Josh kept that party going from beginning to end. I don’t think the dance floor was empty ever. He was able to combine English speaking older family members, an English younger crowd, a Spanish speaking older crowd, and a Spanish speaking younger crowd all into one. It was awesome watching everyone mix and share our day with us. He definitely helped create the environment that we wanted.